Note that the factor is negative to indicate a level of satisfaction. The internal factor ranges from -1 (totally satisfied) to 1 (totally pissed off :-). Easy to parse and to associate a range based renderer. The second file is the “location” of the tweeters. Notice that I put location between quotes, that is because some values were great, like an exact latitude/longitude. Others were like “Boston, MA” And some (and most) were like “Earth”, or “Best Location, NYC!” or my favorite “Look behind u… Boo!”. There was a “sense” of location in these that I think would have given MetaCarta a run for its money. This is where being a unix CLI geek with tools like awk, grep and sed come to the rescue to massage the data. I downloaded a cities.csv to cross reference a city/state name to a location and now I can plot on a map the locatable tweets. Using the latest built-in capabilities of ArcGIS API for Flex such as clustering with flares, info window rendering on clicks, custom function referencing in symbols, I was able to quickly build an application to display the sentiments. You can see the application in action here. Hover over a cluster to flare it and click on a flare element to see its details. To make things more understandable, I reversed the factor value displayed in the info window. Warning: These are real tweets with sometimes very offensive language, so…. do not call HR on me, ok ? And like usual, you can see the source code here. 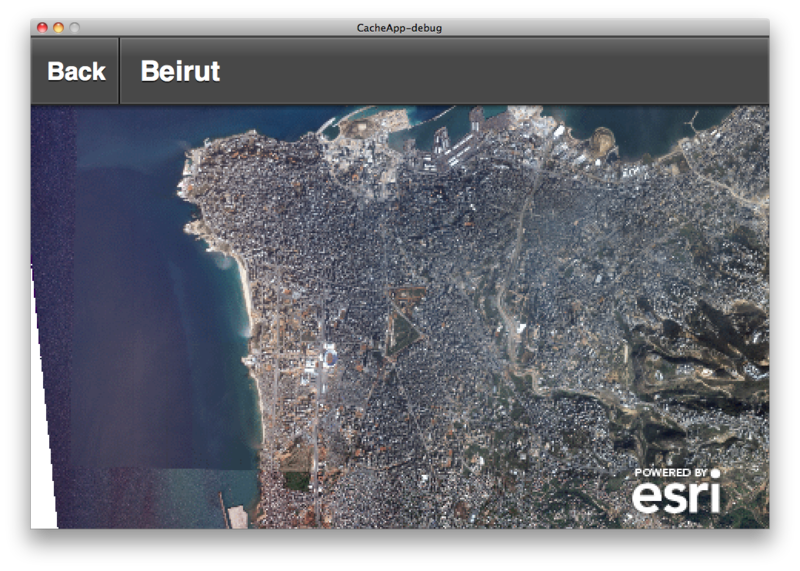 BTW, Check out GeoTagger for ArcGIS Runtime to see MetaCarta in action. The latter accepts a String argument that is converted into an XML instance, and using E4X, each child marker element is converted to a Graphic that is added to a graphic layer graphic provider array collection. Cool, eh ? Note that the graphic layer has it infoWindowRenderer property defined, is such a way that if you click on any of its graphics, a info window content will be displayed whose content is an instance of the defined component. Like usual all the source code is available here. Have fun DnD’ing. You can see the application in action by download the markers.xml file, and drag and drop it on the application running here. PS: As of this writing, the two JS APIs work in Google Chrome 16 and later, Firefox 3.6 and later, Safari 6 will support the standard File API and our favorite (Not!) Internet Explorer 10 (Preview 2+). One of these days, will come back to this and use something like Dojo DnD to abstract me from all this - that will be a nice post! In this post I will demonstrate how to write a Flex mobile application that displays a map with a tiled layer, where the tile source is the unpacked content of a tpk file. A tile package or tpk is generated using ArcMap and is a zip file that contains a couple of configuration files holding tile metadata and a set of ISAM files where the variable length files contain the tile images. 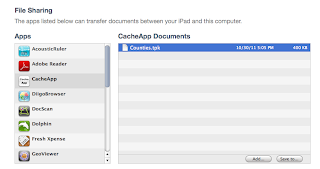 The mobile application enables a user to download one or more tpk files from a web server to the local storage and disconnect from the “network” for offline viewing. When the user selects a local tpk, it will be unpacked and a map will render a tiled layer whose tile source is the local file unpacked images, enabling the user to zoom in and out and pan over the available levels as defined in the metadata file. This is possible due to the availability of the ByteArray class in AS3 and the capability to read and write binary files. The application is based on the Holistic Framework and is linked with the fast airzip library and the ArcGIS API for Flex. 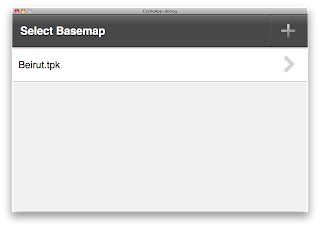 The TPKLayer in the map view is a subclass of the Esri TiledMapServiceLayer class where the getTileURL function is overridden to return a URLRequest instance with a custom ‘data’ scheme. This ‘data’ scheme informs the super class that the tile data is in a byte array referenced by the URLRequest instance ‘data’ property. In the TPKLayer, the getTileURL is invoked with a level, a row and a column value that are used to seek using the File API to a specific location to read the binary image at that location into a byte array. 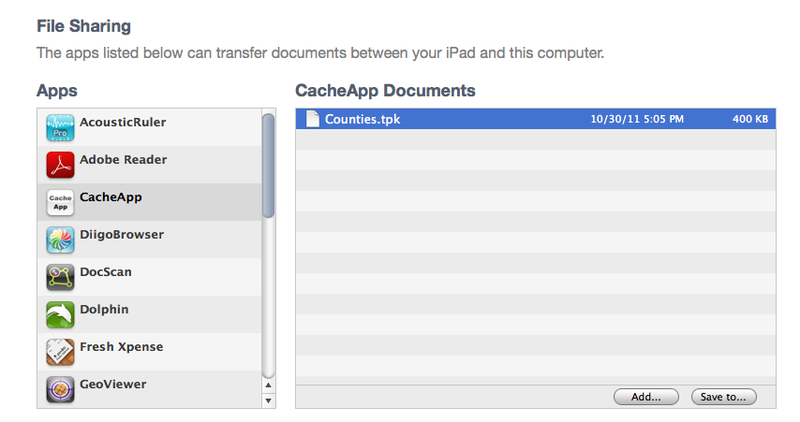 Using an iOS deployment, a user can drag and drop a tpk file onto the application's iTunes document folder for a later sync. This is possible due to the UIFileSharingEnabled declaration in the xml application manifest (CaheApp-app.xml). Like usual, all the source code is available, and you can download it from here. BTW, I was able to build the app using FlashBuilder 4.6 and the ArcGIS API 2.5 and upcoming 3.0 for Flex without issues. Have fun and keep me posted on your implementations.